A container that fell overboard from the MSC Zoe in January carrying bags of a chemical called dibenzoyl peroxide has been located in German waters. Minister Cora van Nieuwehuizen from the Ministry for Infrastructure and Water Management made the news public on Friday. 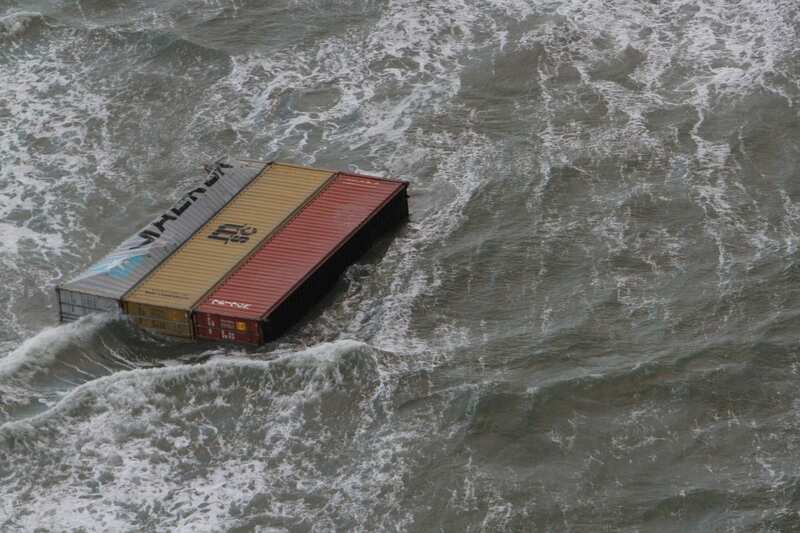 As reported by Omrop Fryslan, the container was found 7 kilometres from the coast. Edwin de Feijter from the Rijkswaterstaat says that the container was fairly close to Dutch waters, but its current location is believed to be roughly the spot where it fell overboard. It is not yet clear what condition the container is in, nor is it clear how much of its contents may have washed away. Dibenzoyl peroxide is an industrial chemical and is used to bleach substances and in skin care treatment, among other purposes. De Feijter says that the salvage team will inspect the container more closely in the coming days in order to determine how to salvage it safely. The salvage operation will be carried out in close co-operation with German authorities. The search continues for a second container carrying potentially dangerous material: lithium ion batteries. In total, the MSC Zoe lost 324 containers, two-thirds of which coming to rest in the Dutch portion of the North Sea. The rest of the containers currently lay in German waters. The Northern Times has continuously reported on the MSC Zoe disaster since the loss of the containers overboard on the 1st and 2nd of January, 2019. All of our in-depth reporting can be foundhere.